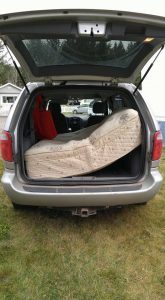 courtney the mom 3 Comments on this soccer mom and her vans, need 3 rows for 3 kids! 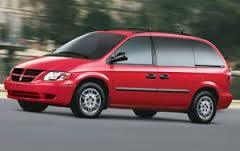 Soccer moms, moms, and single moms, all need family vans, and I’m on my fourth van since having children. I had a couple cool cars once, really, seriously, I did. I’ve had collectible cars too, a Duster and 1960’s Impala. So on the day I picked up my first van, I almost cried. 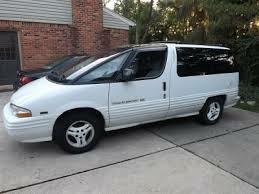 The Aerostar. A year earlier, as a working single mom to one little girl, I had looked at this cool yellow Mustang, and now I am driving this! 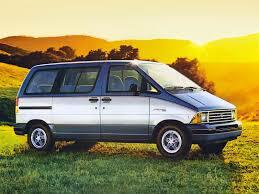 I hate to admit it, but this Aerostar had to be the best vehicle I ever owned! It’s really a tank. We bought it 4 years old, and I drove it until it simply would not drive anymore, 11 years!. The last 2 years with the engine light on. Lasted longer than my marriage. Super dependable and tough, Ford was stupid to dump this model, but anyways, now I am a single with three kids and I had to really quickly replace it or walk, so I got a……. Caravan! (van #3) which has been fairly good to me the past two years. It’s not tough like the Aerostar, and the air conditioner didn’t work, so a Ford dealership put in another AC unit, but that slowly leaks out over the winter and I have to refill every spring (BAD Ford dealership!!!). But now the worse has happened, the transmission is slipping. I sell this with full disclosure and get…. Another Caravan! (van #4). This one was a little newer and hence has been a better van. Although I’ve spent about $1,000 on it so far. This van has served as a tent, moving van, and soccer van. I’ve moved kids, their bikes and yes, a queen size mattress will fit in the back (there is my van, left image, I put this on facebook, lol). Of course, one problem with owning a vehicle is the upkeep, and even if you are poor, and your ex is a mechanic, don’t assume help, here. If you are looking for a decent used vehicle, here’s a page with good possible used vehicle choices. that’s right! 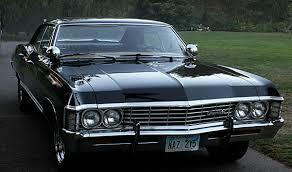 it’s the Supernatural Car, a 1967 Impala, and I want one!